Do you know what it will take to displace your Page1 Competitors? Our business is helping set you apart from your competitors, which is why our SEO services offer so much more than those you find from our competitors. We follow every technological and philosophical development in the search engine industry, and that knowledge informs the way we manage SEO to get results for your business. Both the services you offer and the geographic area in which you operate determine how keywords can be used most effectively to promote your website. We take a full analysis of your page one competitors and the content you currently offer, and use that information to target your greatest opportunities for growth, both in surpassing your competition and accessing untapped areas, helping you position your business as the authoritative source. When is the last time you ventured beyond page one of a search engine? Being on top is what gets results. If all an online marketing firm does is move you from page five to page three, they are wasting your investment and your opportunities. How we arrive at your specified rankings depends on the nature of your business and industry. We research the competitive landscape in major search engines to determine the ongoing efforts required to achieve top natural rankings within the timeline most appropriate to your investment level. If your business only did part of its job, how successful do you think it would be? That’s the kind of thinking we apply to create successful SEO strategies. 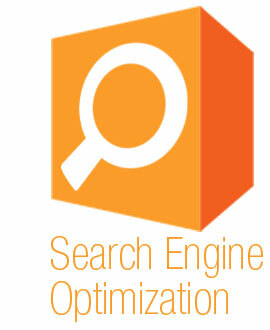 Do you want a responsive SEO team that anticipates and solves challenges? A team that tirelessly targets your industry inside and out to position you at the top?